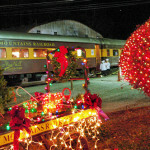 All aboard The Polar Express™ when it comes to life on the Great Smoky Mountains Railroad! Read along with the story as the train makes its magical round trip journey to the North Pole. Meet Santa and enjoy caroling, hot chocolate, and, for those who believe, a special gift for each child. Watch your child’s face light up with wonder when the train arrives at the North Pole, which is lit up with thousands of dazzling, colorful, lights to find Santa Claus waiting! Santa will board The Polar Express, greeting each child and presenting them with a special gift, their own silver sleigh bell. On the way home, Christmas carols will fill the air, and everyone is invited to sing along. Kids are encouraged to wear their pajamas. 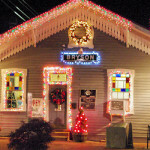 The train station is located in downtown Bryson City, just a few miles from the Hemlock Inn. 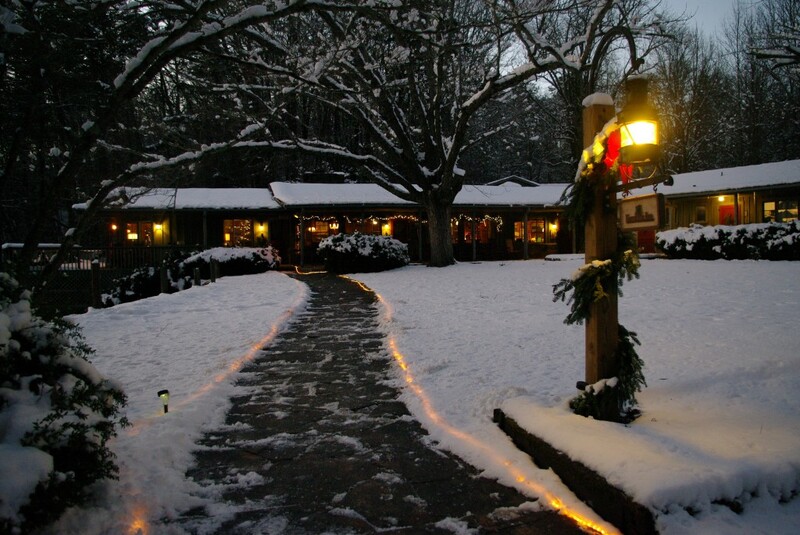 Now you can make Hemlock Inn a part of your family’s Polar Express train experience! 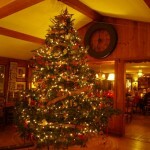 The Hemlock Inn is open through the Christmas season for everyone who wants to come enjoy this wonderful event. 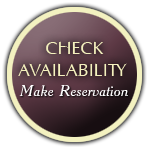 Hemlock Inn does not have polar train tickets, but we will be delighted to help you search for the tickets you desire and assist in making that reservation for you. Our room rate includes breakfast and dinner (breakfast only package is also available). Suites and cottages are also available. Call us today (828-488-2885) for more information. We strongly advise that you plan your trip, book your ride on the Polar Express train, and make room reservations early. This is a very popular event and it will sell out. 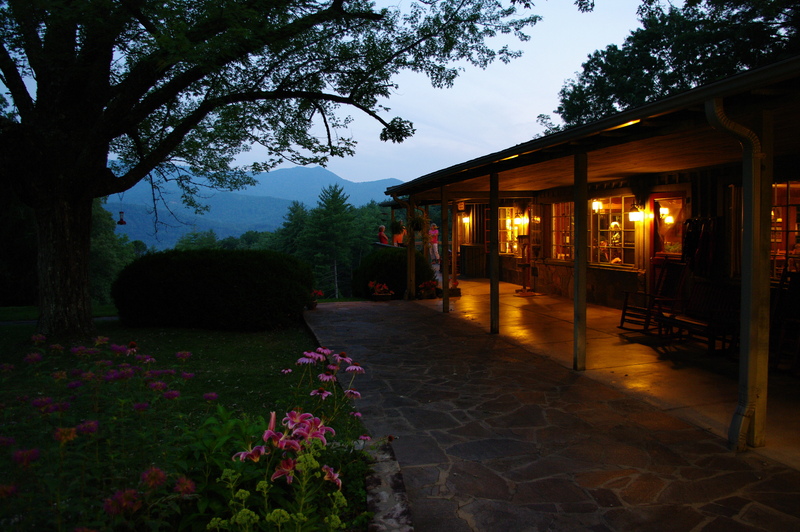 You may also refer to the Great Smoky Mountains Railroad website (www.gsmr.com) for more information.